Were the people who developed successful businesses lucky or did they have special talents? 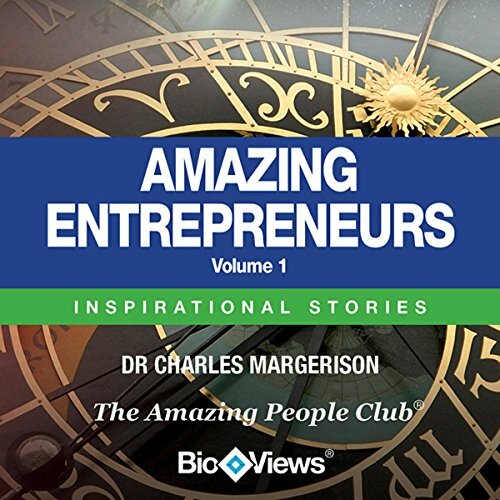 In this unique audio collection from The Amazing People Club, you can explore these questions through the lives of some of the world's most famous entrepreneurs and perhaps be inspired to follow in their footsteps! Ray Kroc's entrepreneurial talents enabled him to develop McDonald's from a local burger joint into an international phenomenon. Get an insight into what inspired him to make this a reality. Meet Andrew Carnegie and find out all about his life, which truly embodied the american dream. He lived the 'rags to riches' story, arriving as a poor immigrant from Scotland and becoming one of the richest men in the world, while maintaining a strong sense of social responsibility. Meet pioneer Madame C. J. Walker who blazed a successful path for black women all over the world and died America's wealthiest African American woman. She lectured and advised many other black women on how to build their own businesses. In addition, hear the amazing story behind the global brand Unilever. Enter William Lever, born in Lancashire as the son of the grocer, who started a small soap company, and had a progressive vision for Port Sunlight - all key events in the development of a company that would grow to become one of the largest companies in Britain.